Emergency patients are given same day priority treatment at LT Dental. If you’ve had an emergency, contact us immediately on (08) 9328 5027. At LT Dental, we totally empathise with the helpless feeling of someone going through a dental emergency. Simply put, if you are experiencing dental pain, you need to see an emergency dentist right now. And we would like to help. Our Emergency Dental Team: Making a difference when it counts! At LT Dental, our professional team of dentists and staff are thoroughly equipped with the training and expertise to handle any type of dental emergency. Our team is trained to react in any given situation in a calm and efficient manner. A toothache can be caused by many and varied reasons and generally can only be fixed by visiting the dentist. 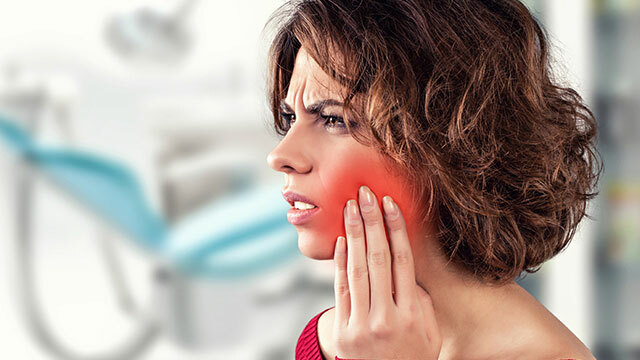 Toothache symptoms can range from mild discomfort when eating and drinking through to severe discomfort and aching in and around the affected area. For temporary relief of toothache over the counter anti-inflammatory painkillers can reduce discomfort, but you should always follow dosage instructions on the packet. Losing a filling can be as a result of the filling failing; a broken tooth; or further decay that may be prone to additional problems. Dental treatment should be sought as soon as possible to prevent a toothache from developing. LT Dental will ensure patients who lose a filling are seen on the same day. In the interim you should avoid eating on the side of the mouth where the filing has fallen out. Taking pain-relief (e.g., pandadol or nurofen) and avoiding cold substances will minimise symptoms until your appointment. If a tooth is knocked out call LT Dental #location for an immediate emergency dental appointment. If you have the tooth place it in a secure container filled with milk and apply ice to the injury in the mouth. If you don’t have milk at hand, place the tooth in a container to keep it as clean as possible until you see the dentist. Please remember to bring the tooth to your emergency appointment. If you have an injury where your teeth have cut through your lip or tongue, try to stem the bleeding by applying ice and pressure. If the cut is small and shallow, keep the area as clean as possible and it will generally heal of its own accord. If the wound is significant and the bleeding does not stop call LT Dental #location or visit your local hospital’s emergency department as the wound may require suturing. If you have any doubt about how to care for the wound or you are unsure if the wound requires further treatment call LT Dental or visit a hospital emergency department. If you have, or suspect you have, a broken jaw you should seek immediate treatment from the nearest hospital’s emergency department. A broken jaw is a serious injury and may need to undergo surgery with a Maxillofacial Surgeon. For advice in this situation our emergency dentist at LT Dental #location will accept calls. Our emergency dentists will assess your requirements on the same day and aim to provide immediate pain relief. When you’re suffering from dental pain, the last thing you need is to be put on a waiting list. Emergency patients are given same day priority treatment at LT Dental. If you have an emergency, contact us immediately on (08) 9328 5027.